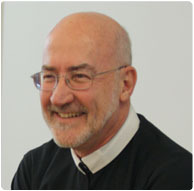 Redemptorist Fathers James Wallace and Maurice Nutt (of the Denver Province) will be among the speakers at a conference on Catholic preaching being hosted by the University of Notre Dame in June 2012. The theme is "We preach Christ crucified." Father Wallace, a professor of homiletics at Washington Theological Union in Washington, D.C., will offer a workshop on "Preaching as Imagining a Re-Newed World." The conference will be held June 25-27, and is sponsored by the Marten Program in Homiletics and Liturgics at Notre Dame. Father Nutt, a mission preacher and author, will give a workshop on "African American Contributions to our American Catholic Preaching Challenge." For more information, complete schedule, and registration, click here.